Maybe I’m getting too old for this stuff, but I have a hard time understanding the youth fascination with this video game. I own the Game Cube version and would be interested to see how this might play out on the Wii, based on the new sensor-driven controls. Just the same, I don’t get what makes the game so popular! Sure, it’ll make tons of money and perhaps break new Nintendo Wii records for sales in a given time-span, but what I want to know is why? I leave a leave a response when I appreciate a article on a website or I have something to valuable to contribute to the discussion. Usually it’s a result of the passion displayed in the article I looked at. 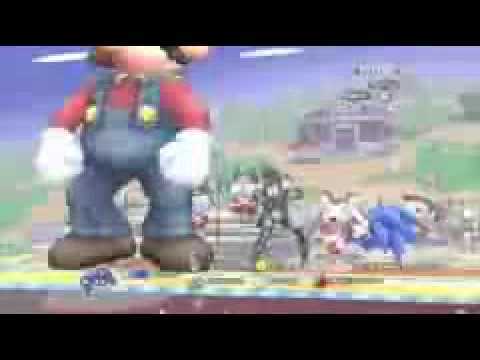 And after this article Super Smash Bros, Brawl – - Business and Technology – Itola Tech News. I was actually excited enough to drop a leave a responsea response I actually do have 2 questions for you if it’s allright. comments appear as if they are coming from brain dead visitors? And, if you are writing at other social sites, I’d like to keep up with anything fresh you have to post. this webbsite provides quality based articles. Hi there,I log on to your blog named “Super Smash Bros, Brawl – – Business and Technology – Itola Tech News” daily.Your humoristic style is awesome, keep it up! And you can look our website about proxy free list.